We’re kicking off Somers Point Restaurant Week with Sip & Savor on Sunday, October 29, from 2 to 4 pm. SAVOR bites and SIP beer, wine and more at Greate Bay Country Club. Hosts of SNJ Today’s hit restaurant radio show 2 Chicks & A Chef will emcee the event! 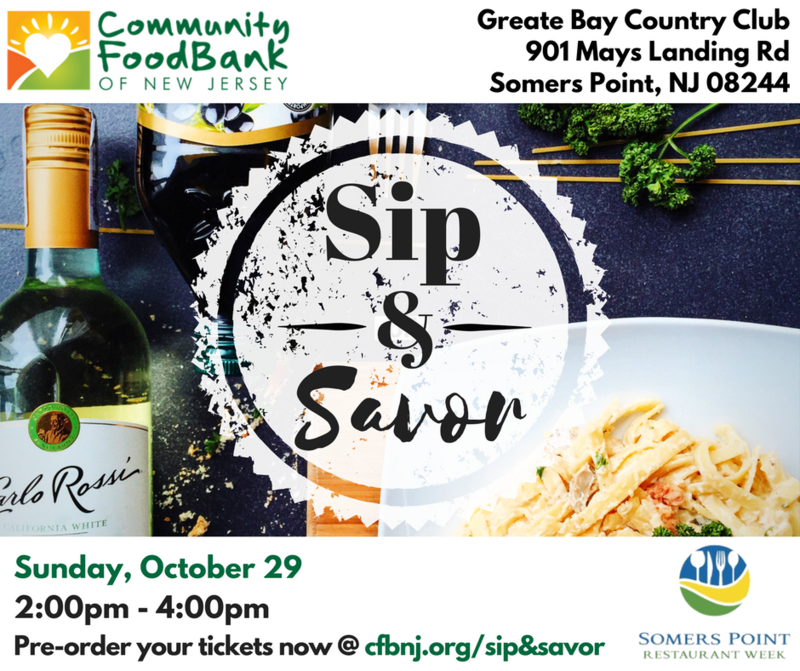 Sip & Savor is presented by the Somers Point Restaurant Association, and Sysco is a presenting sponsor. Tickets are $15 per person, and proceeds will benefit the Community FoodBank of New Jersey – Southern Branch.